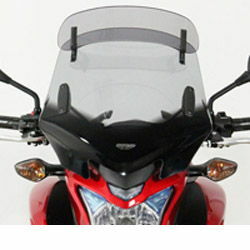 Additional height with Vario-Touring Spoiler 30mm/1.2"
!60342, 60345, windshields, wind, shields, windscreen, motorcycle, motorbike, sportsbike, vision, vario, touring, screens, vario-screens, vario-shields, gray, grey, tinted, smoked, ecran, vent, pare-brise, 13, 14, 15, 16, 2013, 2014, 2015! 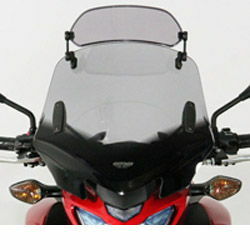 Easily adjustable in height and angle by hand - with no tools required - the award-winning, ergonomic X-creen Sport Spoiler enables you to alter the airflow directed towards you to reduce turbulence and buffeting, improve your comfort and vastly reduce rider fatigue on even the longest journeys. 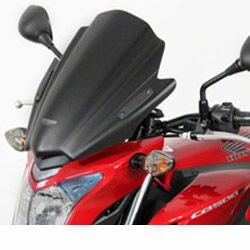 Additional height with X-Creen Sport Spoiler 90mm/3.5"
!60342, 60345, windshields, wind, shields, windscreen, motorcycle, motorbike, sportsbike, vision, xcreen, xscreen, x-screen, gray, grey, tinted, smoked, ecran, vent, pare-brise, 13, 14, 15, 2013, 2014, 2015!